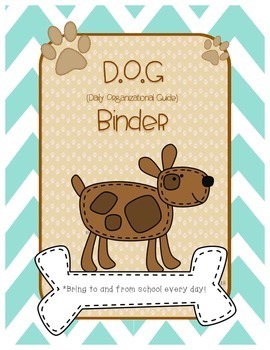 DOG stands for Daily Organizational Guide. Use this cover in your student binders and have them bring their binders to and from school each and every day. Enjoy this adorable dog themed cover.